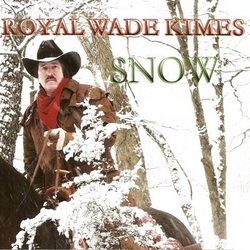 Kimes, a former rancher for Loretta Lynn and singing partner of Garth Brooks ("Night Birds" on Kimes’ release A Dyin’ Breed), has traded campfires for mistletoe and saddles for Santa on his latest release. Snow (Wonderment Records), is a timely stocking stuffer. It features 10 Christmas tunes. For this former car salesman, who recently received a commercially backed commemorative Freedom rifle made to honor his belief in the right to bear arms, the album shows a softer side.